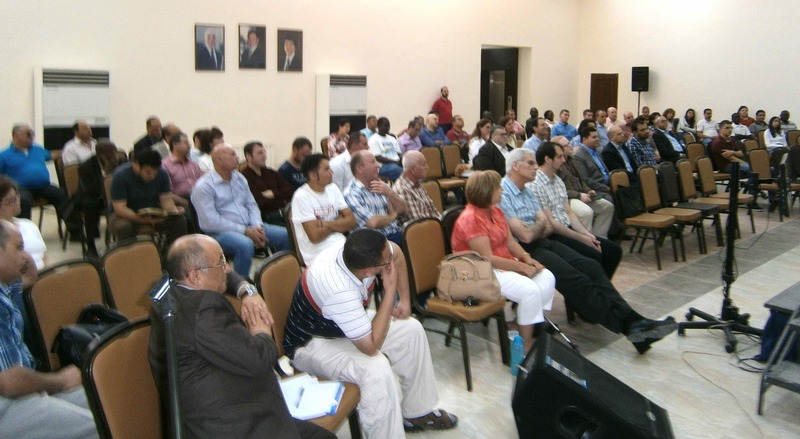 Why Attend Jordan Evangelical Theological Seminary? JETS Provide both formal accredited bachelor, master and doctoral programs, as well as non-formal training programs, through a variety of delivery methods with field training. Hence, equipping spiritual leaders for planting and strengthening churches in the Arab World. Over the years Jordan has continued to be a relatively friendly country to learn Arabic. The tragic events that have taken place in neighboring countries have arguably made it the premier choice for those wanting to study Arabic for Christian ministry. Jordan is an ideal place for getting a feel for overseas service. Another reason for studying in Jordan is its affinity with the culture of Bible times. Along with its connection with a number of personalities and events mentioned in the Bible; Jordan offers students insights into the world of the Bible because of its relative closeness with Arabic culture and the culture of the Old and New Testaments. With this in mind, prepare yourself for a seminary life in the Biblical land. 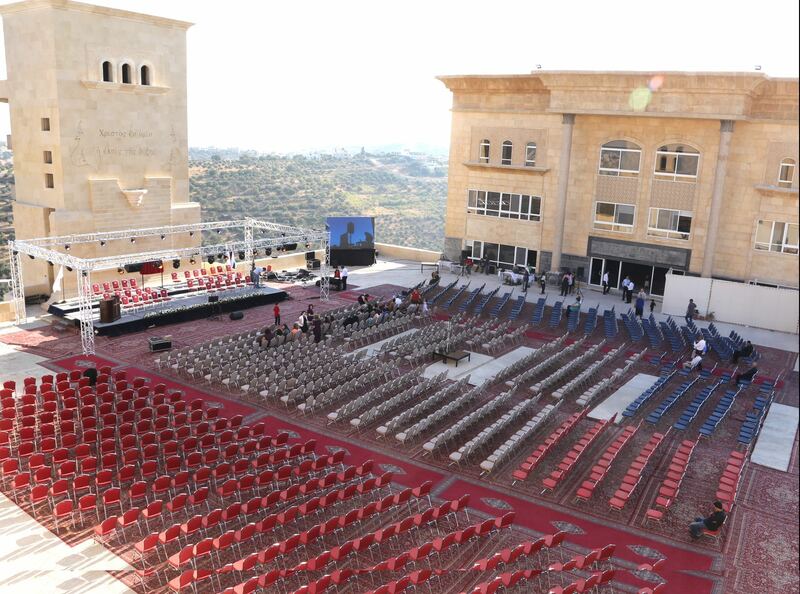 Jordan Evangelical Theological Seminary (JETS) began as a vision for equipping believers in the Middle East to minister to the people living in the 22 countries of the Arab speaking world. Only four percent of the populations of these countries profess to be Christian and most of these are Christian in name only, having never experienced a saving relationship with Jesus Christ. 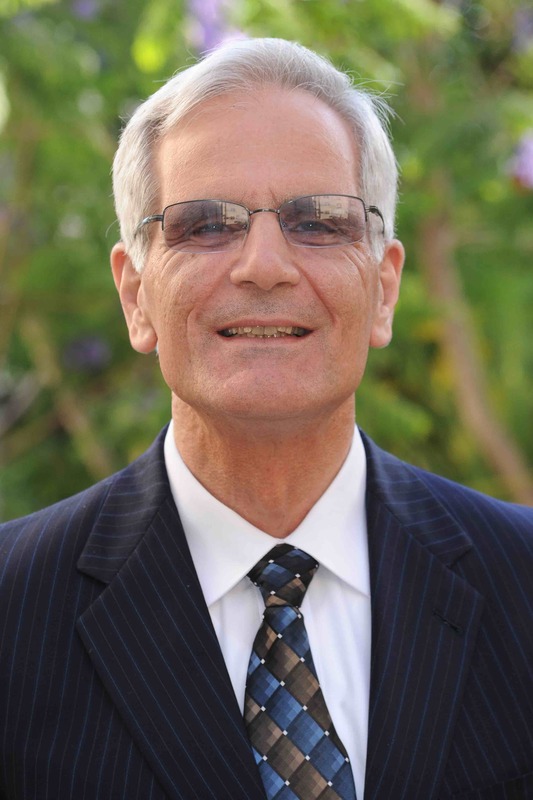 For this reason Dr. Imad Shehadeh began the work of founding the institution that is known today as Jordan Evangelical Theological Seminary. Initially, JETS began operation under the auspices of officially recognized local churches in 1991 while the government studied its application for independent recognition. On March 23, 1995, JETS was officially registered by the Ministry of Culture. JETS then elected its first Board of Trustees from the five evangelical denominations that minister in Jordan. Classes were conducted in various rented locations until JETS move into its own campus in 2013. Since 1995, JETS has continued to grow and develop as an institution of higher theological studies. The founder, Dr. Imad Shehadeh, continues to serve as President as JETS move towards its second decade of producing highly educated academics/evangelists for the Arab world. JETS is fully committed to fulfilling its mission of equipping Arab leaders for the Arab World, as seen by the number of students that have graduated. Graduates currently serve in 19 countries around the world, in capacities such as evangelists, pastors, assistant pastors, youth leaders, women’s ministry leaders, children’s ministry leaders, and other areas of church and parachurch ministry. To the glory of God, of the 60 Evangelical churches in Jordan, more than half are pastored by JETS graduates. JETS maintains seven accredited degree programs, from a one-year C.B.S. to a four-year Th. M. (see the Accreditation section for academic clarifications for degree programs) offered in Amman, Jordan as well as a Doctorate of Ministry program. In addition to this, JETS also offers a non-accredited Partner in Ministry program for student wives. The Academic Department is constantly looking for ways to serve the community through more flexible program offerings, such as evening classes and online attendance. JETS is registered in the Hashemite Kingdom of Jordan. The certificates awarded according to articles 4 and 5 of the constitution are “based on ecclesiastical and international standards for theological studies meeting special accreditation standards for these studies.” Furthermore, JETS has been approved for accreditation by the Middle East Association for Theological Education (MEATE), the European Evangelical Accrediting Association (EEAA), and the Asia Theological Association (ATA). How Do I Apply to JETS? Application forms are available from the Admissions Office or by email request at admissions@jets.edu. Applicants for the preparatory or basic level programs must have passed Tawjihi or equivalent (see the Accreditation section for academic clarifications of degree programs). To enroll in any advanced level programs applicants require a minimum B.Th. or B.A. degree from an accredited college or university. Any exceptions need the approval of the Academic Committee. To enroll in the D. Min program applicants require an M. Div or Th. M degree from a recognized seminary, that meets certain biblical language and English language requirements. Applications for the fall semester must be received by the second week of July, while applications for the spring semester must be received by the second week of December. Applications for the summer semester must be received by the second week of April. All required reference forms must also be sent in by the same deadlines. Application information or references received after the above mentioned dates may delay acceptance by up to one year. Please note that students accepted off-season at the advanced level will find adjusting to courses difficult, but not impossible. They will be expected to work harder to maintain a satisfactory GPA. Please also note that all M. Div and Th.M. applicants are required to have adequately met TOEFL exam requirements in order to qualify for entry into the program. All students receiving scholarship funds (either tuition or living expenses) are required to complete reports for the Development Department as requested. Our Development Department works hard to make sure students pay only a fraction of the actual cost of their education. give listings of some available housing in various areas of Amman. Notices are regularly posted on campus bulletin boards by students looking for roommates or by those seeking to rent to JETS students. Is There Job Placement Assistance After Graduation? JETS cannot guarantee any student employment after graduation. 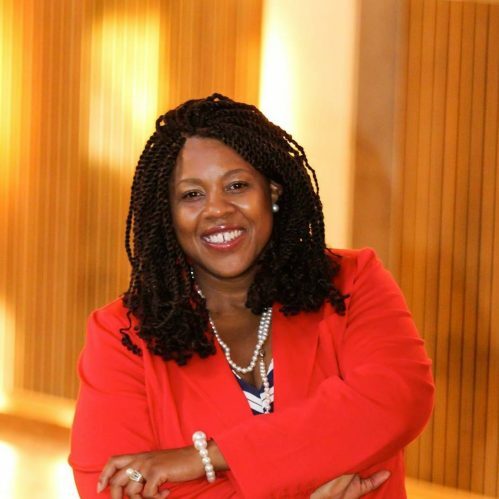 However, the Dean of Student and Alumni Affairs works hard to inform churches and Christian organizations within the Arab World of gifted and trained graduates who are looking for a place of service. Our students and graduates serve in several church and para church organizations throughout the Middle East. Graduates who have developed ministry skills by applying what they learned during their program of study are often sought after by churches and Christian organizations in the region. The Student Department works with the Student Council officers to help plan and provide events that focus on recreation, fellowship, and entertainment for the student body. In addition, the Student Department is required to provide a list of public parks, museums, and other points of interest that students may visit while living in Jordan. All students are encouraged to participate in these activities in order to further strengthen the family atmosphere that JETS seeks to provide. Many of the friendships that are formed during these informal times last a lifetime. 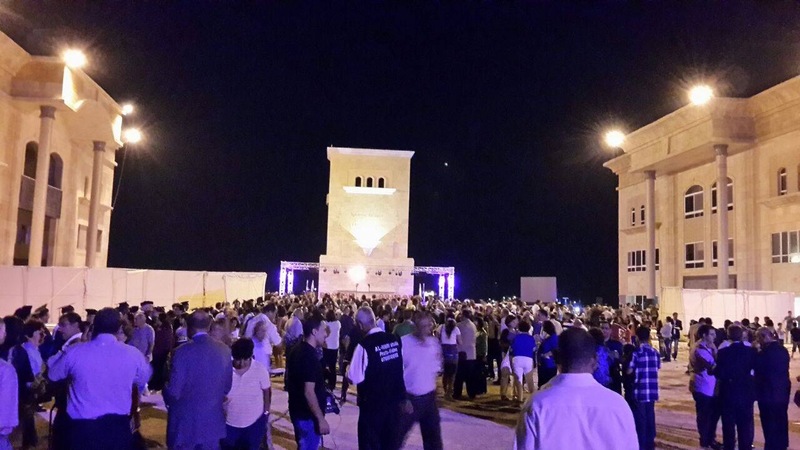 For decades, Jordan has been an oasis of safety and stability in an increasingly unstable and war-torn region. While we do not anticipate any change in the overall picture for Jordan in the coming year, we are keenly aware of what is happening around us and pay close attention to advisories from the US Embassy in Amman, with whom students are required to register on arrival. With this in mind, we have in place a pro-active safety and evacuation plan, under the supervision of a committee, whose protocols will be triggered by specific events and situations, should they arise. Please note that applicants who hold a Tawjihi grade of between 60 – 70 percent will be considered on a case by case basis. If exception is granted by the Admissions Committee the student will be enrolled on academic probation for their first year of studies at JETS. Please note that applicants with GPA not less than 1.7 (C-) from previous degree programs will be reviewed on a case by case basis. If exception is granted by the Admissions Committee the student will be enrolled on academic probation for their first year of studies at JETS. Please also note that all full-time students accepted for the living scholarship will automatically receive this for their first semester of study but are required to meet some specific guidelines in order to keep receiving the scholarship (see the Academic Probation and Discipline and Policies Regarding Living and Tuition Scholarships sections). 3. All M. Div. and Th.M. applicants are required to have adequately met TOEFL exam requirements in order to qualify for entry into the program. 4. Acceptance into the Th. M. program will be decided by the JETS Academic Committee after initial approval from the Admissions Committee. 5. Fulfilled all the necessary application requirements. Please note that it is the responsibility of the student to master computer skills at the advanced level. Courses for advanced level computer skills will not be provided. The Entry requirement is M.Div. or equivalent. Entry is possible for those holding an M.A.B.S. degree through a further period of specially designed preparation phase. The Partners in Ministry (PIM) program was designed to help meet the needs of student spouses who are not able to enroll in one of the academic programs offered at JETS. Our philosophy of ministry is that we are committed to training and preparing both the husband and the wife for Christian ministry. 3. A spouse of a studying student is able to decline the above two options and therefore receive no recognition. All PIM students are required to meet the same eligibility for acceptance criteria as all reparatory and basic level applicants, please see above. Originally the PIM was designed to provide the spouse of a studying student with a basic understanding of the seminary environment and prepare them for supportive ministry. It was intended to be a helpful tool rather than a burden. JETS understands that spouses of students are often under great pressure in the family home, and possibly the work environment, to support their studying spouse. It is for this reason that the PIM is not mandatory, but we do strongly encourage all students who expect to have an effective ministry and supportive family environment to select either option 1 or 2 above. It is the student’s responsibility to make sure that their spouse is aware of the PIM program and enrollment procedures. Certificate of Biblical Studies – C.B.S. This one-year program is open to high school graduates who have completed their Tawjihi (or equivalent). See the Eligibility for Acceptance section for more details. The purpose of this program is to provide students with a first level encounter with theological study; theology, Bible and ecclesiastical history. This program will equip students to help in local church ministry, as well as better prepare them to stand strong in their faith if they go on to a secular university to complete their education. God may use this year to lead the student to continue on to the JETS B.Th. program of study (with this fulfilling most of the first year’s requirements). Is established in the basic doctrines of evangelical Christianity. Understands and can practice the disciplines of the Christian life. Has an overview of the structure, themes, and chronology of the Old or New Testament. Can apply principles of hermeneutics to discover the meaning and relevant applications of a Bible text. Can share his/her faith with those in the surrounding Arab culture. Discovers how God has individually gifted, designed, and called him/her for service. Diploma in Biblical Studies – D.B.S. This two-year program is open to high school graduates who have completed their Tawjihi (or equivalent). See the Eligibility for Acceptance section for more details. The purpose of this program is to provide introductory level theological studies to better equip the student to understand and live out the Christian life in the midst of a non-Christian world. Due to the design of this program, students who sense God leading them toward more in-depth training or full-time ministry are able to transfer verything they have studied into the JETS’ B.Th. program (with this fulfilling most of the first two years’ requirements). To possess a general understanding of both Old and New Testaments, along with a more detailed knowledge of various Bible Books. To evidence a familiarity with the historical development of basic doctrines of the Christian faith, along with an ability to support one’s ethical and theological views and apply them to cultural challenges in everyday life. To possess good study skills and understand how to use technology to conduct and present research on any given subject. To reflect a true servant-leader’s heart through the manifestation of the fruit of the Spirit in their love and relationships with those serving under or over them. To discover how God has gifted, designed, and called them to serve Him. To understand and practice the disciplines of the Christian life, including that of sharing one’s faith with others in the Arab world. To gain valuable ministry experience that is built on an understanding of his or her spiritual gifts and calling. To demonstrate an ability to accurately study the Scriptures with a heart and ability to apply what they learn for life-change, as well as effectively teach it to others. To show a commitment to use what they have learned about themselves, the Bible, theology, and ministry skills to be actively involved in the local church that they are a part of. Bachelor of Theology – B.Th. This four-year program is open to high school graduates who have completed their Tawjihi (or equivalent). See the Eligibility for Acceptance section for more details. To have a good understanding of oneself, including his/her spiritual gift(s), calling, personality characteristics that affect personal and ministry relationships, and preferred learning style. To possess general knowledge of God’s revelation in both Old and New Testaments, with a more detailed knowledge of several selected individual books of the Bible. To produce a statement of one’s personal theological beliefs and philosophy of ministry. To model a true servant’s heart for any position of ministry and leadership that one is given. To evidence a commitment to living out the lordship of Christ in a culture that is dominated by non-Christian values–no matter what the cost. Ability to think critically under the authority of God’s Word. Skilled at applying principles of hermeneutics to accurately understand and apply God’s Word in contemporary society. Is competent in sharing one’s faith with others. Can use God’s Word to disciple others and help those who are hurting (emotionally, physically, or spiritually). Master of Arts in Biblical Studies – M.A.B.S. This two-year program is open to applicants who meet the requirements outlined under the Eligibility for Acceptance section. The purpose of this program is to provide graduate-level Biblical and theological education for Christian men and women who desire to be equipped for various kinds of lay and vocational Christian ministry within a church or parachurch organization. Those who desire full preparation for vocational ministry should apply to either the M.Div. or Th.M. Program. Demonstrate good study skills, along with the ability to use technology in conducting, writing, and presenting research effectively. Possess a general knowledge of the Bible, including a more detailed knowledge of select books of the Bible. Ability to understand and articulate their theological views of the fundamental doctrines of the faith, as well as use them to confront unbiblical cultural beliefs and practices in an Arab world context. Demonstrate an understanding of the role of the church in contemporary society of the Arab world. Awareness of the historical development of the church’s beliefs and practices in the Middle East. Discover how God has designed, gifted, and called him to serve effectively. Demonstrate a commitment to the authority of Scripture and living life under the lordship of Christ. Reflect attitudes and behavior that demonstrate the fruit of the Spirit. Ability to understand and practice spiritual disciplines of the faith, along with the capacity to plan for continued spiritual growth. Demonstrate an increasing love for and commitment to being involved in strengthening the ministry of the local church. Able to perform effectively in Bible teaching or lay leadership positions in a local church or parachurch organization. Proficiency in sharing one’s faith and in answering questions, doubts, and accusations against it from the surrounding non-believers. Gain actual ministry experience that was specifically selected to confirm and compliment his understanding of his spiritual gifts, personality and calling. Master of Divinity – M. Div. This three-year program is open to applicants who meet the requirements outlined under the Eligibility for Acceptance section. The purpose of this program is to equip servant-leaders who can effectively minister throughout the Arab world in vocational Christian ministry, whether in the church or parachurch organization. Graduates are equipped to serve long-term as pastors, elders, Bible teachers, missionaries, and leaders for Christian organizations in the Middle East. All M. Div students are required to have adequately met TOEFL exam requirements in order to qualify for entry into this program. Develop important critical thinking, study, and research skills. Verbalize an understanding of the historical development and content of both Old and New Testaments, as well as an in-depth understanding of select books in both Testaments. Articulate fundamental doctrines of the faith with clarity and depth, as well as be able to relate them to everyday decisions and problems faced in contemporary life in Middle Eastern culture. Understand the role and responsibilities of a pastor serving within the context of the Arab world. Possess a personal philosophy of leadership and ministry in the church or Christian parachurch organization. Discover how God has designed, gifted, and called him to serve. Have a servant’s heart for any position of ministry or leadership that they may find themselves. Model a life of integrity in the home, church, and community that is consistent with Biblical ethics. Develop a burden and lifestyle for sharing one’s faith and for discipling others. Maturity in spiritual disciplines of the Christian life. Demonstrate exegetical skills in studying the original Greek and/or Hebrew texts of the Bible (including the use of Bible study software). Possess skills for researching challenging issues being faced by the church in the Arab world and implementing visible solutions. Be able to plan for continued personal and ministry growth. Effective in developing and presenting expository messages that accurately reflect the author’s intended meaning, yet focuses on life application for today’s listener. Ability to use technology in ministry. Master of Theology – Th.M. This four-year program is open to applicants who meet the requirements outlined under the Eligibility for Acceptance section. This program is designed to equip students to gain an advanced knowledge in theology and Bible and to grow as competent expositors or scripture and theological thinkers. Graduates from this program can serve as pastors, teachers, and leaders in the church, seminary, or other Christian organization and will be academically prepared to pursue doctoral degrees. Development of critical thinking, study, and research skills. Possess a solid overview of the historical development of Biblical revelation, along with introductory issues of each book in the Bible. Comprehension of fundamental doctrines and the ability to think theologically about contemporary issues within the context of the Arab world. Firm grasp of Old and New Testament Biblical languages, as well as hermeneutical principles that will facilitate life-long learning of God’s Truth. To make an original contribution to the knowledge base of theological, Biblical, pastoral, or educational studies in the Arab world through a thesis. Have a humble servant’s heart that is evidenced in personal, academic, and ministry pursuits. Is motivated by a personal sense of God’s calling and looks for opportunities to use his gifts and knowledge in pointing others to the Savior. Appreciates the role of the church in God’s program for this age, and has a commitment to be meaningfully involved in the local church. Spiritually mature enough to disciple others through mentoring relationships. Lives a balanced Christian life, with right priorities and relationships toward God, family, ministry, and a lost world. Demonstrates exegetical skills in the study of both Old and New Testament texts in the original languages, along with the ability to draw out principles and theological truth to guide the lives of Christians today. Effectiveness in delivering expository sermons focused on life application. Able to make and consistently follow a plan for continued personal growth. Demonstrates character and ministry skills necessary for positions of academic and ministry leadership. Proficiency in doing various types of research. Gains real-life ministry experience over the four years of study that confirms his understanding of his spiritual gifts and calling for ministry. Can use God’s Word to counsel those who are hurting. The JETS Doctor of Ministry degree is a professional doctorate designed for serving pastors and Christian workers in the field who want to go deeper in their understanding of, and be greatly more equipped for, their respective ministries. A profound aspect is that the degree, involving rigorous theological, Biblical and cultural studies is available in the context of the students’ present and continuing ministry in their countries. The modular approach of the D.Min. program facilitates a forum for discussing and thinking through essential ministerial issues and procedures together, the aim is to greatly enhance and empower pastoral leadership and, more generally Christian leadership, in the Middle East. The DMin programme is designed for Arabic speakers, but divides into two merging tracks. Track one is the ‘A’ track for those who prefer to work in exclusively Arabic medium and track two is the ‘E’ track for those who are competent in reading theological texts in English. Those on the ‘E’ track may choose ‘A’ track electives. Students must complete 9 Modules. Modules, apart from Independent studies require visits to the JETS campus and some do not. And either an extensive Field Study Project [no dissertation?] or a 30-40000 word Research Dissertation. The degree is over a duration of 4 to 5 years, 7 years maximum, and is modular in structure. The content of modules varies from courses on the JETS Campus, independent studies, Field studies. The largest program at JETS is the Day Program that runs every day except Friday and Sunday, and from 8:00 a.m. to 4:00 p.m. The night program provides courses after 5:00 p.m. for the M.A.B.S. students. All rules and policies of the Day Program apply here also. 1. Absences. The current policy of JETS regarding absences can be found in the online Catalogue and must be observed. i. All distance learning students must attend the full class in the same way that the regular students do. They must be physically present and sitting in front of the screen as if they were sitting in the classroom as a regular student in front of the Professor. Driving, walking or working at the same time as the class, is not permitted. ii. Any requests for absences from the class are to be submitted to the Dean of Students, Pastor Wa’el Dawahreh (waelda@jets.edu). Please refer to the procedures that are outlined in the JETS Catalogue. 2. Attending online courses. The Distance Learning Programme has been set up to allow participation by online students with the Professor and the class. This is considered an important component in adult learning and therefore all students who want to attend the online courses must attend the “live” classes to obtain credit for the class. The Non-formal Program provides courses to those who want to serve in church ministries without formal theological education. This program is provided through qualified graduates of JETS. JETS aims to provide students with many opportunities for spiritual growth and interaction with fellow students that will help develop a sense of calling and passion for ministry. In return, JETS expects the student to exert good effort and deep commitment in the JETS essentials. Chapel Purpose. Both part-time and full-time students, faculty, and the staff of JETS are expected to participate in morning chapel services. Chapel services focus on corporate worship and prayer with frequent devotions from God’s Word delivered by JETS faculty, staff and other Christian leaders. Chapel also includes, training in vision for ministry, leadership and administration through hearing of new developments, policy changes, trials and victories. It is also a time to know JETS news and JETS students, staff and faculty more deeply. 1. All students both full-time and part-time are required to attend the minimum of 6 chapel services per course (regardless of the credits of a particular course). 2. Chapel attendance will be evaluated at the end of every semester for each student by the Chaplain in conjunction with the Dear of Students, who will issue warnings accordingly. Any student who does not meet the requirement for Chapel must submit a letter in writing to the Dean of Students with clear and appropriate reasons and adhere to the necessary penalties. 3. Any student who does not meet the chapel attendance requirements stated above will not be permitted to graduate until the requirements are fulfilled. Once a year JETS holds three conferences for the entire seminary body: (1) the Mission Conference; (2) the Prayer Conference; and (3) the Annual Retreat. All students are required to attend all three conferences every year for every 32 credit hours completed. No student will graduate until he has completed this requirement. Each JETS student is expected to be an active participant of their own local church. This means that the student is expected to attend regularly and to be involved as they are able. JETS expects each student to maintain a personal quiet time each day in an effort to form a habit that will continue to help him develop spiritual maturity throughout his life. The Student Department works with the Student Council officers to help plan and provide events that focus on recreation, fellowship, and entertainment for the student body. In addition, the Student Department is required to provide a list of public parks, museums, and other points of interest that students may visit while living in Jordan. All students are encouraged to participate in these activities in order to further strengthen the family atmosphere that JETS seeks to provide. Many of the friendships that are formed during these informal times will last a lifetime. The Student Department offers students secure counsel about personal, spiritual, or educational needs. Counselors are available for both men and women and appointments can be made by contacting the Student Department. Student wives and women students have the opportunity to meet on a regular basis for the purpose of fellowship, prayer, refreshments, and seminars. Special speakers are often invited to present subjects of interest. Each student is required to be enrolled in a Field Ministry each semester that they attend JETS. These Field Ministries enable students to better discover how God has gifted and called them to contribute to the building up of the body of Christ. The exact Field Ministry that the student is enrolled in each semester is determined by the Academic Coordinator, Filed Ministry Coordinator and the student himself. The student is accountable for following the guidelines set up for each Field Ministry. In order for the work of JETS to continue and grow we have a number of challenges to overcome. One of the most pressing needs is in the financing of a variety of initiatives and projects. a. Living scholarships. Most of our students come from poor backgrounds and are unable to pay tuition fees and living costs. JETS provides each student with a living scholarship for 8 hours of work a week on campus. Without these scholarships, most would not be able to undertake their studies. The average amount that each student receives each month for living is $400 per month. b. Tuition scholarships. The average tuition cost for every student is $600 per month. JETS currently has around 35,000 volumes, many of which have been very kindly donated to us. We want to expand this to at least 50,000 volumes. 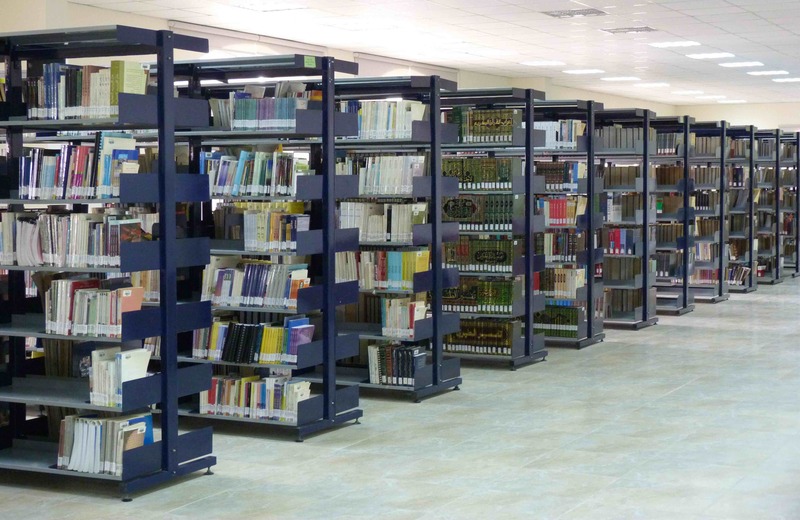 We also need to renovate the library with seating and a small IT lab with an electronic database. The campus is primarily composed of the main building with the housing building and a smaller missions and prayer building in between. We have a growing need for depending on large gifts. The reason is that our monthly income is not enough to meet the ongoing demands. We welcome any amount of monthly donations of $25, $50, $100, $500 or more.